Who inspires me: Mother Teresa. I’ve always loved her. Best advice: Little things can mean a lot. Do little things in great ways. Also, we always see the good in others before we see the good in ourselves. As a seven year old growing up in suburban Melbourne Moira Kelly sat in her humble home watching a documentary about Mother Teresa. Images of the saintly woman caring for others shined from the TV screen, and a young Moira felt her head and heart fill with longing. That’s what she wanted to do with her life, she determined. She too would live a life in service to others. This was no passing whim. For Moira has since charged into the most desperate corners of the globe to help the world’s neediest people. While others flee, Moira has volunteered everywhere from the Bronx of New York City where she’d cradle AIDS and drug-affected babies in her arms, to the refugee camps of Bosnia where she’d treat people ravaged by war, to Romanian orphanages to nurse AIDS-infected children, to the slums of Calcutta where she’d tend to the dead and dying. Her work has also brought her home to Australia where she saves the lives of sick and disfigured children from third world countries who most deem too hard to help. She fundraises for the medical evacuation and care for children and has also welcomed several into her home. Among these people are the co-joined twins Trishna and Krishna, who brought Moira widespread recognition when they were successfully parted by surgery in 2006. While Moira has seem humanity at its worst, she has also seen it at its kindest. When she looks back on her life today, she declares that, while she may not be rich, she is living the best life in the world. While Moira has seem humanity at its worst, she has also seen it at its kindest. As a kid, while other girls her age discussed makeup and boys, Moira would volunteer at a workshop for disabled kids or hand out food at soup kitchens. By the time she was 19 Moira had worked hard, saved madly, sold her car and booked a flight to Calcutta. “I told my mum I had a great place to stay and a great place to work – what she didn’t know wouldn’t hurt her,” Moira laughs. In reality, she had no real plan – simply to arrive in the seething mass of humanity in Calcutta and ask where she could find Mother Teresa. A young Moira in Calcutta. The plan worked and it wasn’t long before Moira was volunteering in a children’s orphanage in the mornings and at a home for dying and destitute men and boys in the afternoons. She’d visit the railway stations to seek out the desperate and get them to the home for care. “I’d do things like change the dressings of the boys and men in the home for the dying and destitute – maggot-infested wounds, amputating a couple of toes that had nearly fallen off anyway, that kind of thing,” Moira recalls. While visiting home in Melbourne during her two-year stint in India, Moira learned how to put on a clown performance and returned to India where she earned a name for herself and her travelling clown show. She’d visit orphanages, leprosariums and old people’s homes where she’d attract crowds of up to 400 people to see her clown show. She revelled in bringing smiles to the faces of those who were suffering most. During this time Moira also got to know a chap with contacts at a private hospital for the wealthy. In the manner for which she would become renowned, she convinced a doctor there to treat the poverty-stricken patients. “We’d sneak patients to this hospital where poor people shouldn’t go and hide in a surgery – we couldn’t be seen in the waiting rooms – and sneak patients in between wealthy patients,” she says. 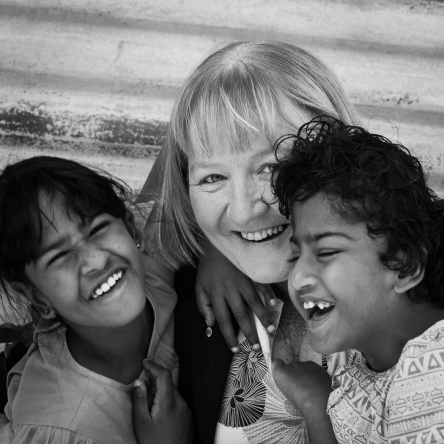 After two years in Calcutta Moira felt called to help elsewhere. She returned to Melbourne and again worked and saved like crazy to fund her next trip of service. She first travelled to Botswana where she spent six months helping the Kalahari Bushmen and then three months in Johannesburg working in soup kitchens in the city’s most desperate slums. She remembers looking out of the sea of ramshackle homes, smoke rising above the rooftops, and being struck by the sheer depth of the poverty. She also recalls the violence – and how quick uprisings could flare up among people grappling with the frustration of daily life there. Africa was simply a stop-over enroute to a place that had long called to her – the Bronx of New York City where she yearned to help babies withdrawing from the crack cocaine habits of their mothers with HIV AIDS – a problem that was rife in the 1980s. Moira made her way to a nursery in a New York Hospital which homed these babies. She’d spend all morning there cradling and playing with the newborns. “You can never underestimate the importance of being held,” she says. In the evenings she’d venture out after dark in a soup van to feed those living rough on the streets. She yearned to help babies withdrawing from the crack cocaine habits of their mothers with HIV AIDS. Moira adored her time in New York and could have stayed forever but, two years after she arrived, she received a phone call from a priest in Ireland. Could she come to Romania to coordinate the volunteers at a Romanian orphanage for kids infected with HIV AIDS? At the time Romania had one of the worst HIV infection rates in the world. Moira couldn’t resist the calling. Moira and her family today. Moira’s time in Romania was just after the reign of dictator Nicolae Ceausescu, who’d outlawed Christmas with a promise to imprison anyone who dared celebrate it. Not one to be told what she couldn’t do, Moira decided to put on a Christmas celebration for the Romanian AIDS-infected kids. Meanwhile the Bosnian War had broken out between Serbs Croats and Bosnians in the 1990s. As fighting erupted throughout the country, thousands of people were driven from their homes, held in refugee camps, raped, tortured, deported, or killed. While others fled the war zone Moira booked her ticket there. She set herself up in a refugee camp for six months – the only non-refugee living there. She lived in a porta-cabin amid a sea of tents that housed whole families fleeing the terrors unfolding throughout Bosnia. Many were sick or injured in the war. Moira set up a kindergarten, organised fresh fruit and vegetables for the refugees with aid money from Australia and nursed patients with amputated limbs, heart defects, and shrapnel injuries. Most of the refugees were women and kids. Many of the injured were babies and children. Some had no chance of surviving if they stayed in the refugee camp. Among the sick and injured children was a girl with a chronic illness who would go totally blind without medical intervention. Moira organised for her to travel to Ireland for an operation to save her sight. Next she raised money to send a group of 15 sick kids to America where she’d convinced a number of hospitals in Boston to treat them. Later still she met a boy and his desperate mother. The boy had lost his leg in the war, and his father had died. Their plight prompted Moira to self-fund their medical evacuation to Melbourne. She sent children to Ireland, Canada, England, Austria and the United States in increasing numbers to get them the medical help they needed. Despite the trauma of their wounds and illnesses and the shock of travel, the children were incredibly resilient. “These kids have gone through war and they’re sick, so for them it seems like a miracle to be sent to another country for help,” Moira says. Among Moira’s most treasured memories in Bosnia was organising annual holidays for the children to leave the refugee camp for a week’s holiday by the sea. “It was so wonderful to be able to take them out of a refugee camp, out of a terrible war and get them away from all that,” Moira says. In one such trip she set tongues wagging by organising for Catholic and Muslim kids to travel on such a holiday together. She was spurred into action when a Catholic child expressed shock that Muslim children had also been injured in the war. In disbelief he said, “But no-one hurts Muslims – they are the ones that kill Croatians.” After Moira revealed there was fighting on both sides he tugged at her shirt. “Moira,” he asked. “What does a Muslim look like?” With that one innocent question, Moira determined that the children of both religions should meet – to give the opposing side a human face. The trip together was a massive success. Moira stayed in Bosnia for four and half years. As the Bosnian war drew to a close, Moira was called to Albania. Here she spent three years helping the underprivileged, especially disfigured children. From her laptop in this poverty-stricken corner of the world, Moira would plead, urge, cajole and convince friends, volunteers, doctors and hospitals to treat the children before returning them home again. She estimates she sent some 200 children for medical treatment during her time in the Balkans. She sent some 200 children for medical treatment during her time in the Balkans. 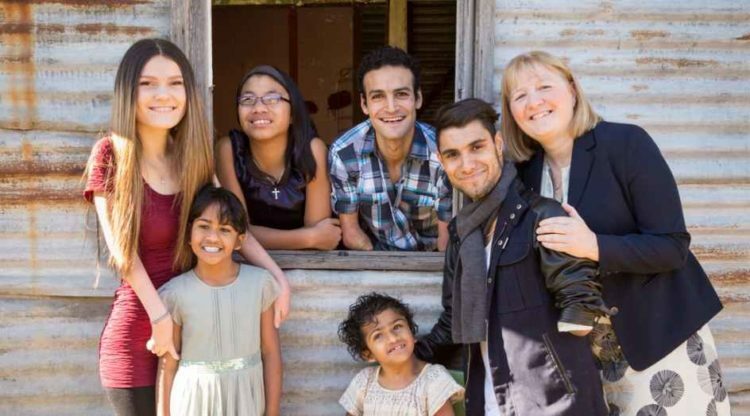 During her time in Albania, Moira adopted two boys of her own – Ahmed and Emmanuel from Iraq, whom she’d met in Iraq. Both orphans had serious disabilities and Moira organised multiple surgeries and provided a loving home. Ahmed is now a world-recording holding Paralympian swimmer and Emmanuel has recently signed a record deal in the United States. 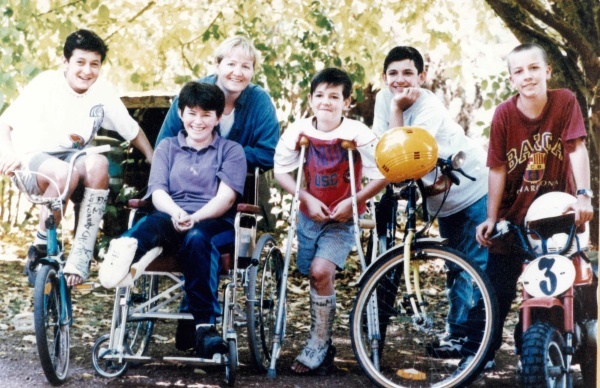 Having sent children the world over, Moira decided to establish a home in Australia especially to house those in need of life-saving surgery. In 2001 she opened the Children’s First Foundation, which has since helped more than 350 children to be treated for a critical conditions including open heart surgery, bowel reconstruction, plastic surgery, amputations and new prosthetic limbs. During this time Moira also met the twins Trishna and Krishna, born co-joined at the head in Bangladesh in 2006. She organised their medical evacuation to Australia where they underwent ground-breaking 38-hour surgery that saved their lives. Moira says she was their aid worker, then their nurse and, along the journey, she became their mum. The twins now live with Moira in Melbourne and their biological mother and younger brother live with them too, so the twins have two mums. They call Moira “Mummy” and their mother “Ma”. Trishna is now in grade four and Krishna attends a developmental school. Moira has recently launched her own Foundation, the Moira Kelly Creating Hope Foundation. She has taken in a woman from Africa who was trafficked to Australia, separated from her children and recently gave birth to twins. Then there’s the gorgeous seven year old from Palestine with a horrific skin condition that appears like burn scars all over her face whom Moira now homes. And the five year old with a condition that gives her the world’s biggest feet. Plus more. Together they live in a busy house that’s a gorgeous chaos of nationalities, laughter and love.